There are a lot of things that make Desoto Family Dental Care a special place. Be it our beautiful facilities, superior dentistry, or our phenomenal staff team, we strive for quality service and care in every way. Fundamental to our outstanding dentistry is the hard work and dedication of Dr. Seymour. 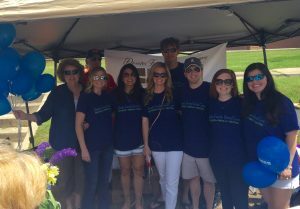 Desoto Family Dental Care is proud to serve Hernando, MS, with our numerous dental services. Whether you’re seeking cosmetic dentistry or any of our restorative services, you can rest assured knowing that you’re in the hand of our highly experienced staff. Keep reading to learn more about Dr. Seymour and his remarkable journey into dentistry. Dr. Seymour was born and raised in Biloxi, Mississippi, down along the Gulf. Upon graduating from Biloxi High School, he headed up to Oxford to attend college at Ole Miss. But Dr. Seymour’s steadfast dedication to education didn’t end there. He continued on to the University of Tennessee to get his degree in dentistry. Dr. Seymour’s time in Memphis led to more than just a degree. It was there that he met his wife Shirley, who was then a student in the dental hygiene school. They married the year before graduating, and then they moved to Marks, MS, to begin their careers in dentistry. They stayed in Marks for a few years, gaining valuable experience in their field. And it was in there that their daughter Holly was born. The Seymours moved to Hernando in 1974 to start the dental practice that would eventually become Desoto Family Dental Care. And they’ve lived there ever since! The Seymours have always had a habit of excelling. Dr. Seymour was recognized by the Mississippi Dental Association for 35 years of going above and beyond his annual education requirements. Dr. Seymour and his wife have been hugely active within the Hernando community since they moved there. 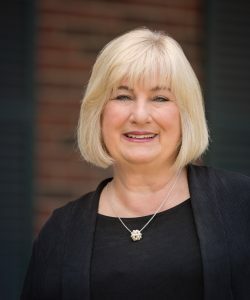 Dr. Seymour spent time as the President of both the Hernando Rotary Club and the Chamber of Commerce, and has been a part of numerous Hernando boards. An Ole Miss Rebel at heart, Dr. Seymour still enjoys watching his first Alma Mater play football on Saturdays. He is also involved in Honduras missions as well as the Fellowship of Christian Athletes. Ready for Your 6 Month Checkup? Are you due for a professional cleaning? Come on into Desoto Family Dental Care! You can call us at 662-429-5239. You can also contact us here. Since 1994, dental lasers have been used to treat a number of oral health issues. While no dental laser system has been awarded the American Dental Association’s Seal of Acceptance, the FDA has given approval and many dentists have taken notice of the benefits patients can reap from laser gum treatment and other laser dentistry services. At Desoto Family Dental Care, we have used dental lasers to treat gum disease for years and our Hernando, MS patients have seen the benefits first hand. If you are in need of laser gum treatment, we can gladly help. Before you call to schedule an appointment, let our knowledgeable staff fill you in on the benefits of laser gum treatment and other uses for dental lasers. As with any new type of technology, dental lasers present a number of advantages over previous methods of gum disease treatment. When a patient has gum disease, they become inflamed. In order to effectively treat the disease, the inflamed gum tissue has to be removed. Dental lasers make it possible to do this without much pain, making it a popular treatment choice. At Desoto Family Dental Care, we took notice of these benefits long ago. We have always tried to be ahead of the game and embrace new technologies and laser gum treatment has been one of our favorites. In addition to laser gum treatment, there are a number of other uses for lasers in dentistry. For example, dental lasers have been used to remove decay from dental cavities. This also makes it easier to prepare the tooth for the dental filling once all the decay has been removed. Another common use for dental lasers is in professional teeth whitening services. Many dentists use dental lasers to speed up in-office teeth whitening procedures. The bleaching compound used in professional teeth whitenings is activated by special lights. Dental lasers can speed up this curing process and leave you with teeth as much as 8 shades whiter in one appointment. Better yet, as this technology improves, there will likely be even more dental services that utilize dental lasers. Contact Desoto Family Dental Care Today! As you can see, dental lasers have more potential uses aside from simply laser gum treatment. However, at Desoto Family Dental Care, we use this technology purely to treat gum disease. If you are interested in our laser gum treatment, or any of the other dental services we offer at our Hernando, MS dental office, you can contact us here. You can also call us at 662.429.5239 to schedule an appointment today! Learning in the Big Easy! 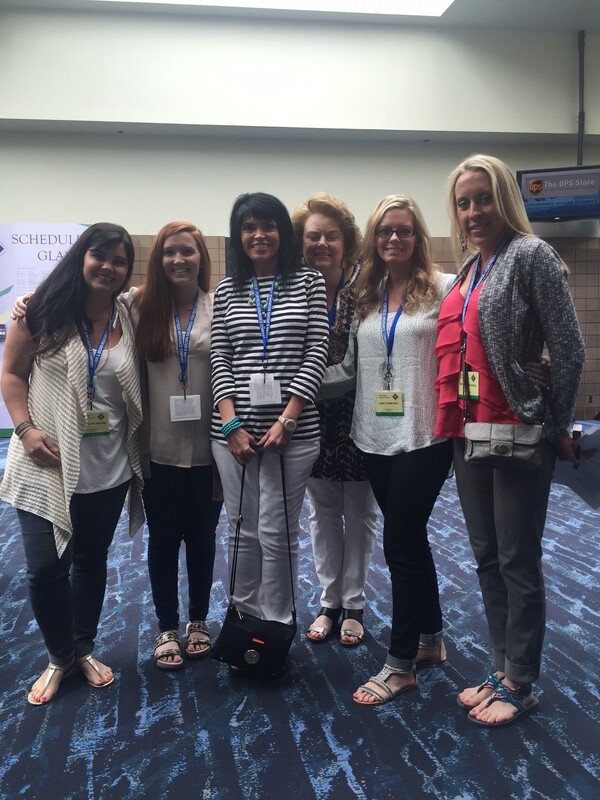 The doctors and staff recently attended the New Orleans Dental Conference in April. There were two main goals for this trip. One, was to learn new things to help improve overall patient care at the office. The second goal was to build camaraderie within our team and strengthen our relationships with each other. We successfully attained both of these goals in New Orleans. Top 20 Game Changers in Dentistry Today – new products, techniques, etc. Our recreation time was spent eating some delicious Cajun food together as well as exploring the city. A great time was had by all and we brought home lots of good ideas to implement at the office. The team at DFDC recently worked a booth at the A’Fair event on the Hernando Square. 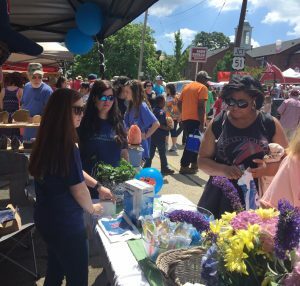 Team members and doctors met with fair goers and gave out lots of free dental products like toothbrushes, toothpaste, floss and other goodies. We had balloons for the children to enjoy. A raffle was drawn for a $300 gift certificate and was awarded to a lucky winner. It was such a rewarding time seeing familiar faces as well as meeting new friends and we plan to participate in next year’s event. Desoto Family Dental Care is proud to announce that Carla Samuels has joined the DFDC team as our new Office and Operations Manager. Hernando has been Carla’s hometown for the last twenty eight years, though, she was born and raised in Memphis, Tennessee. She holds an Associate’s Degree of Arts from Northwest Mississippi Community College and continued her education at Union University where she graduated with a Bachelor’s Degree in Organizational Management. While attending school she earned memberships in Phi Beta Kappa Honor Society and Alpha Sigma Lambda Honor Society. 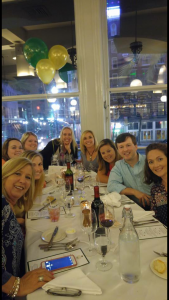 Carla was previously employed at Smith & Nephew, Inc. in Memphis for eight years and, prior to that, worked at Hernando High School and in the Payroll Department of Desoto County Schools. Carla is mother to son, Matt, and daughter, Bri, and both grew up right here in Hernando and attended Hernando Schools. Matt and his wife, Elizabeth, live in Eudora, while Bri and husband, Chris Jackson, have also made their home in Hernando. She feels lucky to have her children, mother, family members, and friends in such close proximity. Currently, Carla shares her home with her two rescue dogs, Tucker and Mr. Pete. She is also an active member of First Presbyterian Church in Hernando where she taught children’s Sunday school for many years. In her free time, Carla loves listening to music, reading, and traveling. She especially looks forward to her annual beach trips with family and friends. She enjoys the small town atmosphere of Hernando and believes the sense of community in Desoto County makes this a very special place to live and work. The world of dentistry is a whole new experience for Carla and to help with this transition she has joined the American Association of Dental Management. 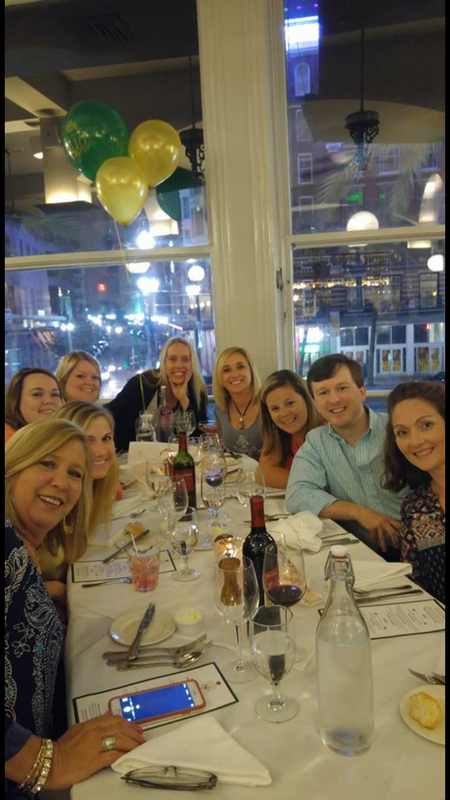 As Carla looks forward to learning more about and growing with our practice, she is also excited to begin involvement with civic organizations within DeSoto County. Having the opportunity to serve her community through her new position here at DeSoto Family Dental Care is one of the many reasons Carla has found dental team management so appealing. Even in the short time here with us at DFDC, Carla Samuels has already made such a positive impact on our practice and we look forward to a long partnership with her to continue to enrich and serve our patients and our community. Anxiety regarding dental visits is more common than you might think. Estimates suggest that between 9 and 15 percent of Americans avoid going to the dentist because of anxiety and fear. Skipping your 6 month professional cleaning is one thing, but many people will needlessly suffer through the symptoms of damaged teeth and periodontal disease for the sake of avoiding the dentist. That is when dental anxiety can become an issue. Desoto Family Dental Care is happy to offer sedation dentistry services to patients who experience dental anxiety and fear. We understand that dental anxiety is a common issue for those in need of dental care, and we are proud to offer a means of dental treatment that makes your visits less nerve-wracking. People with dental anxiety, or on the more extreme end, dental phobia, are at an elevated risk for gum disease and early tooth loss. No matter how well you take care of your teeth at home, it’s crucial to visit your dentist every 6 months for a deep cleaning and assessment of your dental well being. Even if your at-home dental care is excellent, it’s still possible to develop cavities and early stages of gum disease. Things that your dentist would be able to recognize before they escalate into more serious conditions. People with dental anxiety will avoid visiting their dentist even when they’re experiencing painful symptoms. This is potentially dangerous because the longer these symptoms go untreated, they will likely worsen in terms of pain and severity. Gum disease, for example, can lead to tooth loss in its worst stages. Sedation dentistry is the use of certain pharmacological agents before a patient goes into a checkup or procedure. At Desoto Family Dental Care, we offer nitrous oxide or a form of oral conscious sedation that patients can take an hour before coming in for their appointment. These agents are prescribed to help patients feel calm and relaxed before dental procedures. Beyond their calming effect, these treatments also help to minimize pain during dental treatments. Neither nitrous nor oral conscious sedation lasts a very long time, so you won’t have to lose a whole day to grogginess after your dental treatment. They are also both very safe methods of sedation. Nitrous has existed for many years and remains the most commonly used form of sedation for American dentists today. If anxiety has been keeping you from visiting the dentist, call us at 662-429-0758 to learn more about our sedation dentistry. You can also contact us here. Obviously, brushing and flossing every day can have a huge impact on the overall health of your teeth. But you should also make sure you are eating certain foods that also help keep your teeth healthy. In fact, your oral health is the first to feel the negative effects of an unhealthy diet. At Desoto Family Dental Care, we like to educate our patients on oral hygiene practices that can help improve the health of your teeth. Since we previously covered unexpected foods that can damage your teeth, we thought it would be fitting to share some of the foods that are healthy for your teeth as well. Before you call our Hernando, MS office, let us fill you in on some of these foods. It should come as no surprise that dairy products are good for your teeth. Milk has a high calcium content that can help keep your teeth and bones healthy. In fact, your teeth and bones store as much as 99% of your body’s calcium, according to the National Institutes of Health. Another dairy product that is healthy for your teeth is cheese. In addition to the calcium content, cheese can also raise the pH balance in your mouth, which can help reduce your risk for tooth decay. Acidic foods, like coffee and tomato juice, can lower the pH balance. Cheese, however, can increase your saliva production and can help protect the enamel on your teeth. Just make sure there is no added sugar. Yogurt is also beneficial for your teeth. Since it contains probiotics, your teeth and gums will become healthier. If you choose to eat a lot of yogurt, be sure to choose the plain variety and make sure there is no added sugar. While many of our patients are aware that dairy products are healthy for your teeth, many are surprised to hear the same about leafy green vegetables. Leafy greens are high in a number of essential vitamins and minerals, including calcium, which is healthy for your teeth. Many leafy greens contain high amounts of folic acid, which may be effective at treating gum disease. Obviously, vegetables are a healthy food. But their benefits extend further than their vitamin and mineral content. Celery, for example, can act as a toothbrush, gently scraping food and bacteria off your teeth. In fact, many fibrous vegetables can perform this same task. Carrots are another one of the most effective fibrous vegetables at removing bits of food and bacteria from your teeth, so be sure to remember celery and raw carrots during your next shopping trip. While eating foods that are healthy for your teeth can help keep them strong and healthy, you should never forget to brush and floss. Additionally, be sure to visit our Hernando, MS dental office for a checkup and professional cleaning every 3-4 months. You can contact us here or give us a call at 662.429.0539 to schedule an appointment. Tooth loss is something we all want to avoid. From difficulty chewing to an unflattering appearance, there are a number of reasons we wish to keep our teeth intact. The leading cause of tooth loss in America is periodontal disease, and avoiding it can have a dramatic effect on the condition and health of your teeth. Periodontal disease, also known as gum disease, is an inflammatory condition caused by bacteria. In fact, more than 80% of Americans suffer from periodontal disease of some form or another. This makes preventing it even more essential as it is more common than you might think. At Desoto Family Dental Care in Hernando, MS, we aim to rid our lovely town of periodontal disease. Before you call to make your next dental appointment with us, let our knowledgeable staff fill you in on the symptoms of periodontal disease and how we can treat it. If you are experiencing any of these symptoms, it is imperative that you call our Hernando dental office to schedule an appointment. As the disease progresses, damage can be done to your jaw bone. This can cause major tooth loss and other dental issues to occur. Depending on the severity of your periodontal disease, we can use a variety of different treatment options. For less severe cases, like gingivitis, we can remove plaque and tartar from the gumline. If the disease has spread below the gums, we will need to clean out the infection from the root of your teeth. We only offer non-surgical options for periodontal treatment, so if your condition has worsened we can recommend seeing a specialist for further surgical treatment. In short, it is better to prevent periodontal disease from developing than it is to have it treated. Proper oral hygiene is a must to prevent plaque and tartar build-up that allows bacteria to grow. 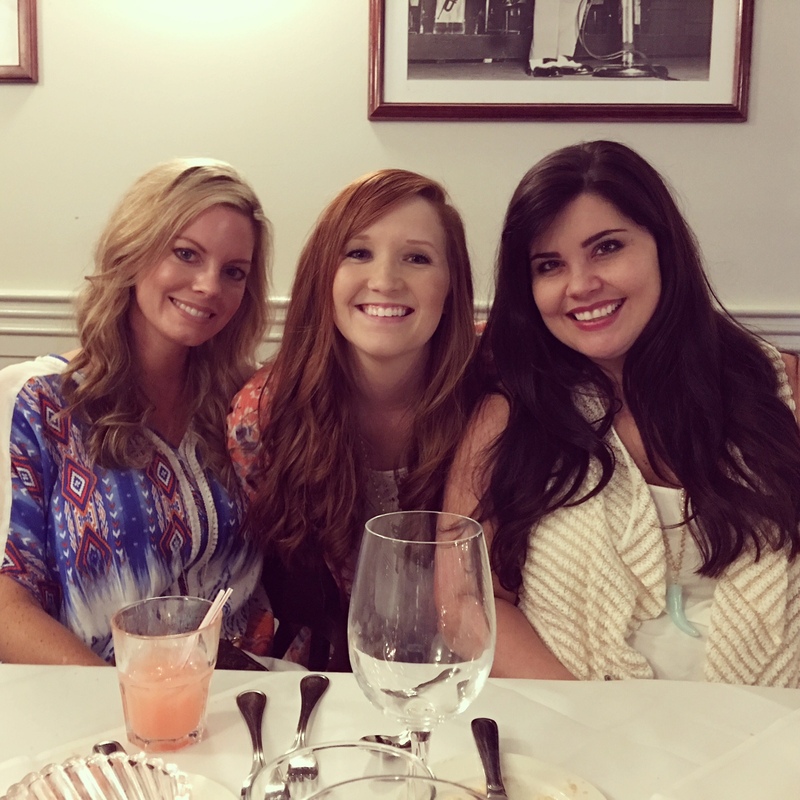 Contact Desoto Family Dentistry Today! If you have noticed any of the symptoms listed above, then you might be developing a form of periodontal disease. Luckily, Desoto Family Dental Care in Hernando, MS can help treat the issue. If the disease has progressed too far, we will recommend you to a specialist for further treatment, however, we are usually able to treat most forms of periodontal disease. You can contact us here by filling out the form on the right-hand side or give our dental care office a call at 662.429.5239 to schedule an appointment today! If you are missing a tooth, then you understand the difficulties that accompany the issue. We lose teeth through a number of different ways. Disease, accidents, and even dental extraction are all a few of the ways we lose teeth. Regardless of how you lost your tooth, a dental implant can help to replace your missing tooth and restore the appearance of your smile as well as the functionality of your tooth. At Desoto Family Dental Care, we understand how much of a burden a missing tooth can be. This is one of the reasons we offer dental implant services to the residents of Hernando, Mississippi. Before you call and schedule your dental appointment, let our staff fill you in on the purpose of dental implants. A missing tooth is a lot more than simply a gap in your smile. It can have adverse effects on your overall health. Of course, we all naturally lose our deciduous, or baby, teeth as our adult teeth grow in. This does not cause any issues, however, missing adult teeth can lead to a host of dental and overall health issues. One of the most worrisome issues with tooth loss is the deterioration of the jawbone. Without teeth to stimulate bone growth, the jawbone will begin to resorb. Over time, this will cause your chin to protrude forward and upward. Additionally, your self-confidence could be harmed by a missing tooth, causing you to smile less. If you are missing a tooth, a dental implant is necessary to avoid these issues. Made of a titanium alloy, dental implants are able to stimulate jawbone growth and prevent further jaw decay. Additionally, once your dental implant has been placed, the titanium alloy will bond to the jawbone through a process known as osseointegration. The bone will grow around the implant, resulting in a sturdy replacement to your missing tooth. Once the implant has been placed, you will have to wait as much as six months to have the abutment and crown placed. Once this is complete, however, you will have a replacement tooth that looks and feels just like your natural teeth. If you have lost the majority or all of your teeth, instead of placing a crown atop your abutment and implant, we can fit ball and socket devices on them for implant supported dentures. This is far more effective than traditional dentures placed atop your gums. Not only is it a more secure fit, but implant supported dentures are less irritating than traditional dentures. If you are missing a tooth, there’s no reason to hide that smile. Here at Desoto Family Dental Care, we are trained in dental implant placement and can help restore your smile to its former glory. You can contact our Hernando, MS dental office here or call us at 662.429.5239 to schedule your appointment today! Many people try their best to avoid foods that can damage their teeth. Sugars are often the number one culprit and are cut out of diets constantly to avoid tooth decay. While sugary candies can lead to tooth decay, many of the other damaging foods are less known. As your trusted Hernando, MS dental office, Desoto Family Dental Care is here to help keep your teeth and gums as healthy as possible. While we can provide our high-quality dental services to patients in the greater Memphis area, it is up to you to practice good oral hygiene habits. This includes not only brushing and flossing your teeth, but also avoiding foods that can damage your teeth. Speaking of which, here are a few unexpected foods that can do so. Much like sticky, sugary candies, dried fruits can damage your teeth. The sugar content in dried fruits is cause for concern alone, however, their sticky nature also raises a red flag in regards to tooth decay. Sticky foods can get lodged in between teeth which can make it difficult to remove. Bacteria in your mouth will then feed off of the high sugar content in the dried fruits. This can lead to a host of unwanted diseases and can even cause tooth decay. Next time you find yourself reaching for a bag of dried fruits, consider having fresh fruit as a snack instead. In fact, apples have been shown to help clean teeth while you eat them, making them a healthier alternative to dried fruits. Acidic foods and drinks can eat away at the enamel on your teeth and coffee has a high acidity level. Additionally, sugar and cream additives in coffee can only increase the risk of tooth decay and cutting them out of your morning cup of joe can help lower these risks. Of course, coffee does present a number of health benefits. From high antioxidant levels to increased energy levels, coffee can be beneficial. However, to get the best use out of it, you should drink it straight black and limit yourself to one or two cups a day. Don’t forget to brush your teeth after you have finished your cup of coffee though as it can stain your teeth over time, leaving you with a dull smile. Bread, crackers, and other refined carbohydrates can have devastating effects on your teeth. These simple carbohydrates may seem innocent, but they can get stuck in hard-to-reach places in your mouth. Carbohydrates break down to sugars, which bacteria will feed off of and grow. This can lead to tooth decay, which will require a dental visit to correct. Of course, bread is one of our staple foods so cutting it out entirely is not essential. It is important, however, to brush thoroughly to remove and any bits that have gotten stuck in between your teeth. Rinsing your mouth after a meal can also help loosen pieces of bread. Even if you practice the best oral hygiene habits possible, you are sure to run into issues at some point. If you are in need of a dental checkup, or any of the dental services we offer in our Hernando, MS dental office, you can contact us here or call us 662.429.5239 to schedule an appointment today!